Summer is officially in full-swing and for many people that means camping trips, beach days and relaxation are also in full-swing. This week, we’re featuring a make-ahead pancake mix recipe that offers the perfect make-ahead breakfast for bringing to camp (or a campground), whipping up a delicious breakfast before heading out the door, or simply enjoying a summer brunch. Whip up a big batch and save for up to eight months, or better yet, give it as a gift to a pancake lover in your life. Mix: Combine all ingredients in a large bowl by stirring thoroughly with a wooden spoon. Store mixture in an airtight container and use within 8 months. 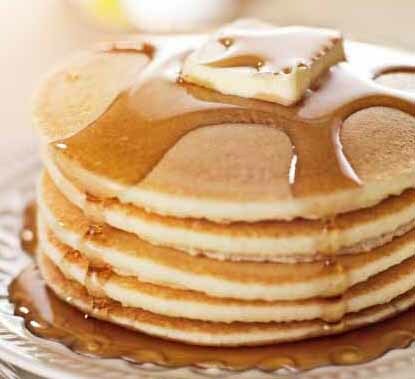 Pancakes (makes about eight 4-ounce pancakes): Combine 2 cups pancake mix with 1 cup water, 1 egg, and 2 tablespoons vegetable oil. Beat smooth with a wire whisk or fork. 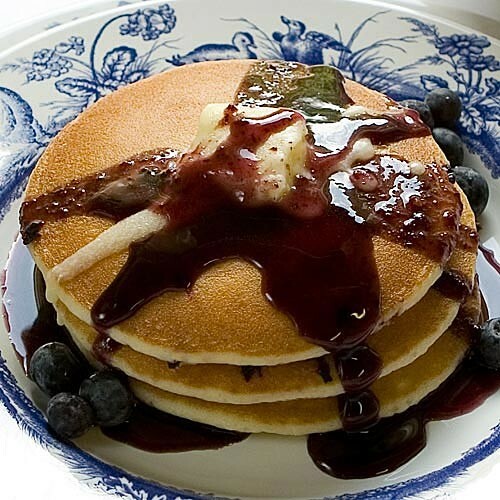 Place about 2 tablespoons butter in a pan or on a griddle and brown each side of the pancake. Serve hot with your favorite toppings and syrup. Mother’s Day is just around the corner and if you are looking for some new recipes to whip up for mom, we’ve got you covered. Here are six creative, different or new recipes to serve for Mother’s Day brunch. 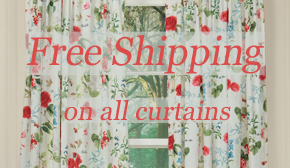 Great if mom plans to be on the go this Mother’s Day, or as single servings for your siblings, children and loved ones who are celebrating with you. More simple and just as sweet as you can imagine. 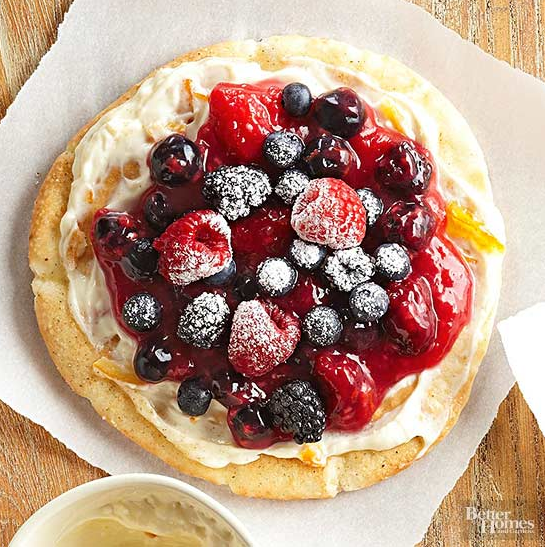 Substitute mom’s favorite berries or give her a variety of these pizzas to choose from. Need we say more? Whether your pancakes aren’t as great as mom makes or if they usually rival hers, these will definitely make her smile. While making doughnuts is a little more work, these are definitely worth it for mom. These have recently become quite popular, so give them a try this Mother’s Day. Serve up one of these for mom to enjoy while you get everything ready in the kitchen. What are you cooking, baking and serving for Mother’s Day? Share your ideas in the comments or on Facebook. Happy Mother’s Day, moms! With school either starting up soon or already part of your week, it’s nice to prepare meals and snacks ahead of time just in case a member of your family sleeps in a little too late or needs to rush off early. This week, we are featuring two mixes for delicious blueberry filled breakfasts that are as delicious as if they were made from scratch. Cut down on your breakfast time without skimping on the best meal of the day. 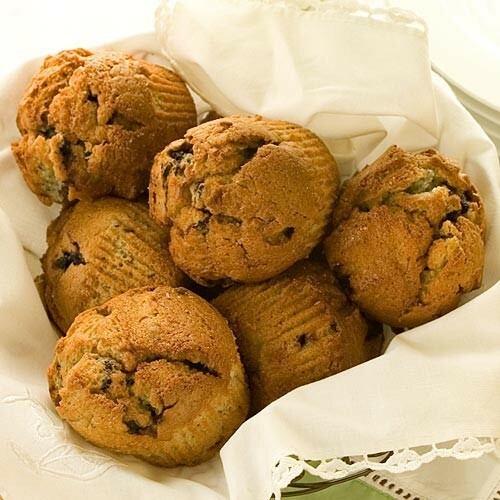 The best to-go breakfast is a muffin; grab one on your way out the door or savor it with your morning cup of Joe. This muffin mix is made with real Maine blueberries and will give you a taste of summer all school year long. For mornings when you have a little more time to sit and enjoy your family’s company, these blueberry pancakes make for a filling and delicious breakfast. Don’t forget the syrup and jam! Both mixes are made here in Maine from all-natural ingredients, so you can keep your family healthy and fed, even when they’re on the go. Enjoy the school year, and don’t forget about breakfast!